The Internet – Brand New Song/Video ‘Roll (Burbank Funk)’. THE INTERNET have released their first new song since 2015’s Grammy-nominated, critically-lauded album Ego Death, and last year’s acclaimed solo releases from band members Syd, Matt Martians, and Steve Lacy. 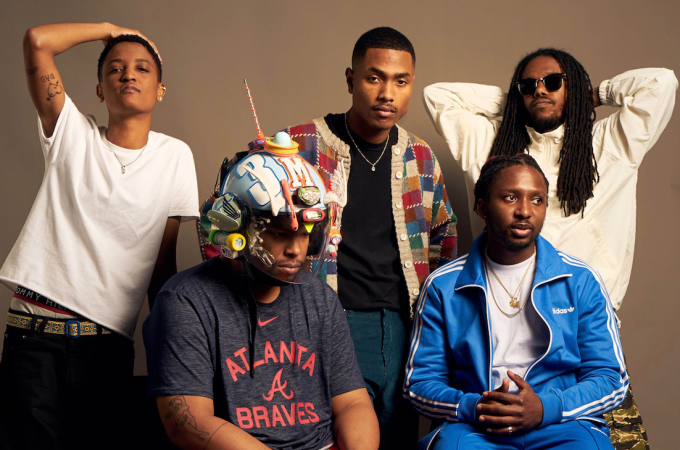 Entitled “Roll (Burbank Funk)”, the song — a funkified space jam with shades of 70’s Earth Wind & Fire, Deee-lite’s “Groove is in the Heart,” and the band’s own scintillating signature sonics — was written and produced by the band, and features guitarist Steve Lacy dueting with frontwoman Syd. A video for the song, directed by Joe Weil (Kendrick Lamar, YG, Schoolboy Q), is out today as well. LISTEN TO “ROLL (BURBANK FUNK)” HERE. WATCH THE VIDEO FOR “ROLL (BURBANK FUNK)” HERE.